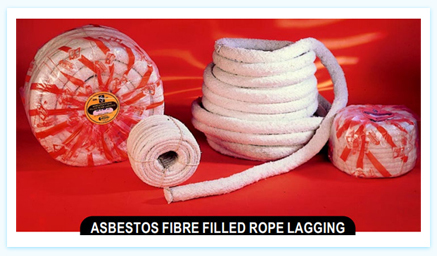 Asbestos Lagging Rope is of the simplest forms of removable lagging or thermal insulating ropes. A fine canvas is often used as a weather proofing or finishing wrap on a Lagging Rope covered pipe, the canvas is then coated with bituminous heat resistant paint. • Extensively used for industrial power houses, marine steam and exhaust pipelines.